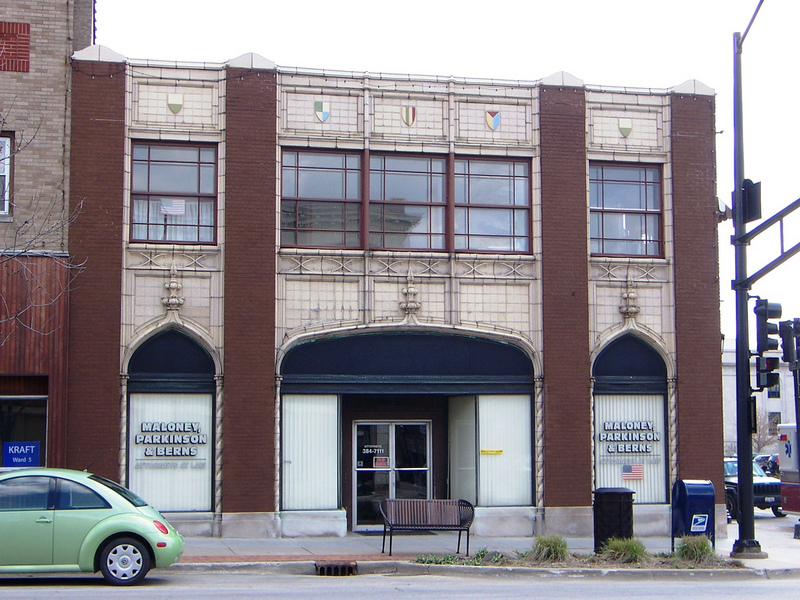 This commercial building was built in 1927, Urbana, IL by Joseph W. Royer. Royer completed this commercial building with Danely and Smith in 1926. Located on the southeast corner of Main and Race Streets in Urbana, this building was originally the Knowlton and Bennett drug store. 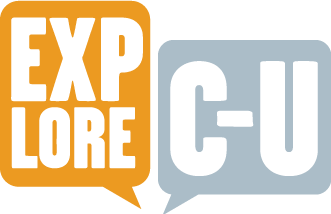 Everett M. Knowlton moved to Urbana in 1877 and he started his business in 1883 after purchasing the E.H. Cushman and Company drug store. Everett originally owned the business with physician W.H. Knowlton, but after Knowlton returned to Massachusetts, he soon partnered with his future brother-in-law, George M. Bennett. Bennett had studied pharmacy at the National Institute of Pharmacy, Chicago. The store was renamed Knowlton and Bennett in 1877. After Everett died of kidney disease on April 4th, 1920, Bennett took over the business. The building was originally planned to remodel an older building. It was later decided that the structure was going to be demolished and they would build anew. The plans to commence construction of the new building were delayed in 1916 due to World War I. After the war, the construction was once again delayed after the death of Everett Knowlton in 1925. Construction finally began in 1925. The building was completed in 1927. Today the building is used as a women’s clothing store called the Wooden Hanger. The second floor is now offices and a law firm. This building was built in Gothic Revival style of vitreous gray buff bricks and stone with terra cotta decorative elements and polychrome shield decorations. In addition to drugs and books, the store carried an extensive inventory of paints, wallpaper, stationary, glass, cosmetics and athletic equipment. This commercial building was built in two stages. The southern part was built first, followed by the northern part. The business moved into the southern part while the northern wing was under construction. The structure was originally meant to consist of two stories, with three additional stories to be added in the future. Heating, lighting, gas, water, and air pipes were installed with the capability of three stories, but the additional floors were never added. This two story commercial structure was built to be used as a drugstore. 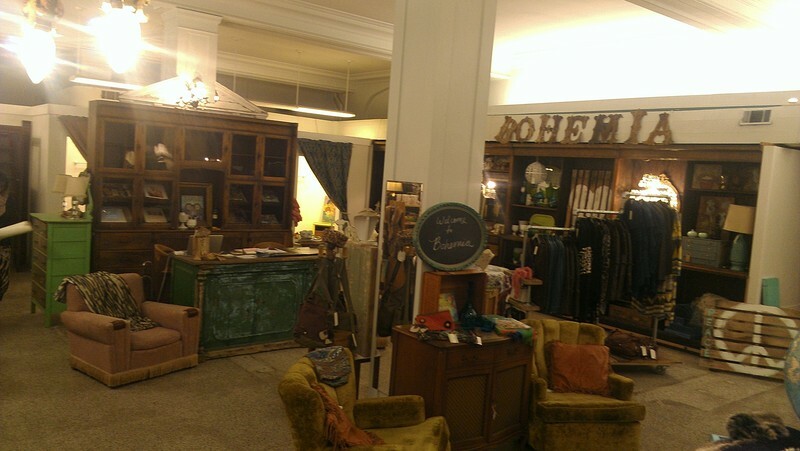 Today the first floor of the building is used as a women’s clothing store called the Wooden Hanger. The second floor is now offices and a law firm. Urbana-born Joseph W. Royer not only attended the University of Illinois for architecture, but also graduated from Urbana High School, making him a dedicated “townie.” Royer initially co-founded a firm called Royer and Brown in 1905, but over the years his firm went through several changes in partners. 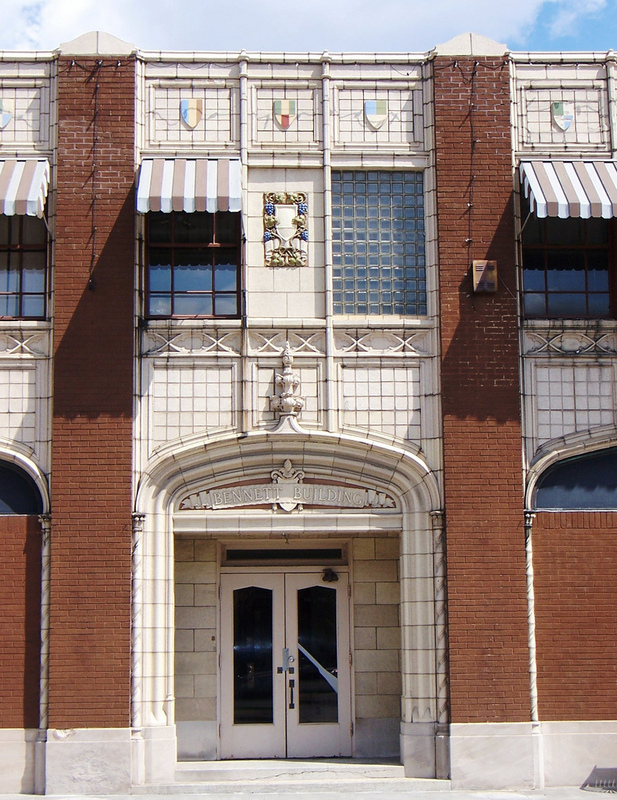 Royer’s architectural work can be observed in almost 100 buildings throughout Illinois, Iowa, and Indiana, and a large amount of them can be found specifically in the Urbana-Champaign area. Race St. facade: Image courtesy army.arch@flickr.com, all rights reserved. Main St. facade: Image courtesy army.arch@flickr.com, all rights reserved. 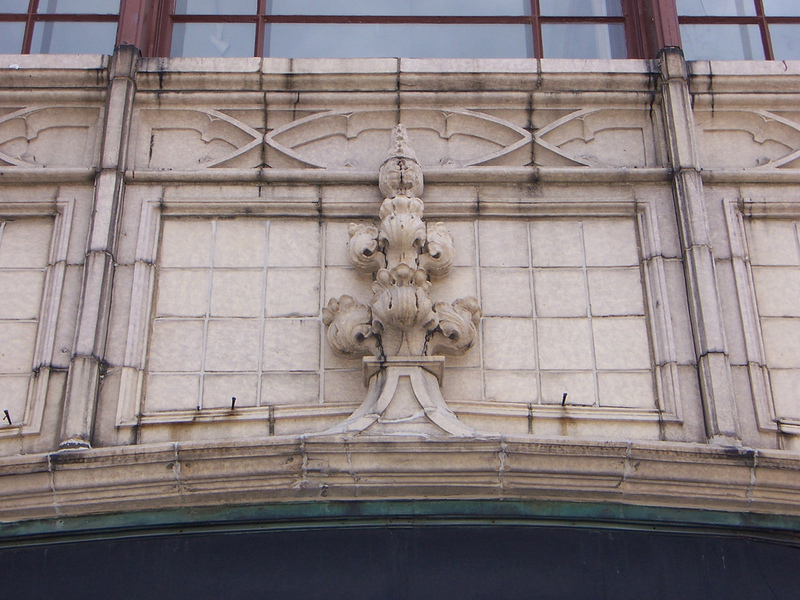 Adam Bengtson, Manying Wang, and Abby Valek, “135 W. Main Street,” ExploreCU, accessed April 19, 2019, https://explorecu.org/items/show/310. Adams, Brian. Joseph William Royer: Urbana's Architect. Champaign, IL: News Gazette, 2011. Print. Joseph W. Royer. 1895. Photograph. University of Illinois Archives, Urbana. University of Illinois Archives. Ed. Illinois Alumni News. Web. 17 Nov. 2013.